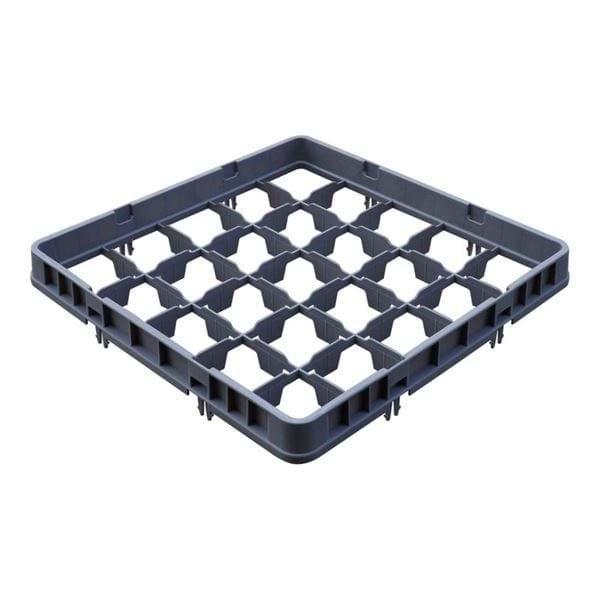 NES 25 Compartment Half Drop Extender Only has compartment size of 8.9cm x 8.9cm. NES Glass Racks interstack with all major dishrack manufacturers including Cambro Camrack® Glass Racks, Carlisle Foodservice OptiClean™ Glass Racks, and Vollrath Traex® Glass Racks. They are made from long lasting and durable polypropylene which is built to withstand chemicals and high temperatures up to 200F (93C). The closed wall design helps prevent contamination from outside sources and for optimum cleaning and storage. Grips on all four sides of the rack allow anyone to quickly, easily, and securely pick up and move the rack.